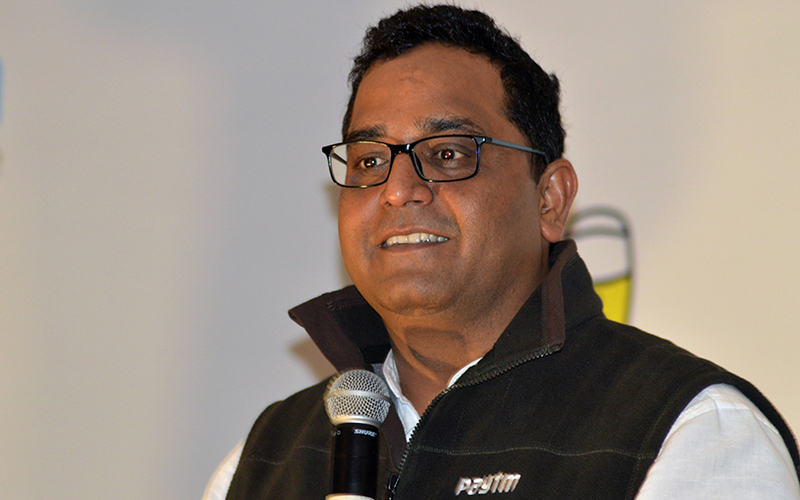 Paytm founder and CEO Vijay Shekhar Sharma has made it to the list of ‘the 100 most influential people in the world’ of 2017, released by the Time magazine on Thursday. The 43-year-old chief executive of the Indian mobile payments and commerce firm is the only other Indian, apart from Prime Minister Narendra Modi, to feature in the coveted list. The Time magazine’s annual listing features pioneers, artists, titans, leaders and icons from around the world. Sharma was listed under the Titan category, joining Amazon founder Jeff Bezos. The list had earlier featured Marc Zuckerburg, Bill Gates, Steve Jobs, Larry Page and Tim Cook, among others. Paytm’s post-money valuation stood at $4.8 billion when it had last raised money in 2016, according to VCCircle estimates. Earlier this week, The Economic Times had reported that, Japanese Internet conglomerate and investor SoftBank Group Corp was in talks to invest $1.2-1.5 billion in Paytm.